I enjoyed this email from the Second Class Operators’ Club reflector…. One such item is the WinKey keyer that requires DB9 serial input, not yet knowing if it is also fried. Ah, but the iMac has only USB ports. So USB-serial adapter was needed and ordered online at great saving compared to local purchase. It arrived with drivers on a 2.5 inch CD. That’s a neat idea for PCs with horizontal CD drive (aka coffee cup holder), but useless on the iMac with vertical slot in side. This has led to another series of second class misadventures. Somewhere along the way, I asked guru son about identifying the port assigned when connecting serial adapter for WinKey. His classic reply repeated below. I think this is the point where I should revert to a manual digital mode and give him the finger. This was a book I hated to finish reading. Chapters 9 – 12 are full of amateur radio’s involvement in aviation, sea journeys, and the exploration of the polar regions. There is great coverage of the private schooner Yankee, which sailed around-the-world with a crew made up of college age young men and stops included the Galapagos Islands, Easter Island, Pitcairn (a fascinating story there), Manga, and Tahiti. Alan Eurich, W8IGO, worked the onboard rig and was an invaluable member of the crew. Chapter 10 talks about an amazing air race between Oakland, CA and Hawaii – amateur radio played a key role in tracking the planes and providing help. Anne Morrow Lindbergh operated a rig when flying with her husband, making contacts with many amateurs. The most interesting of the Antarctica explorations involved radio operator Sidney Jeffryes who’s isolation and resulting insanity jeopardized the mission… sending crazed reports back to Australia via Macquarie Island. Almost all the major polar expeditions used radio. QST covered almost all these adventures, sparking the imagination of young hams back home. Chapter 13 covers amateur radio’s involvement in supporting emergency and disaster response. Flooding, hurricanes, and fire – hams responded and used their radios to help the authorities organize their efforts as well as to pass health and welfare traffic. 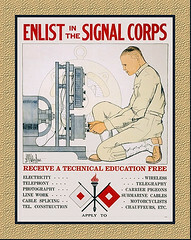 The forest service was also instrumental in the development of portable radio with the help of dedicated amateurs. Chapters 14 and 15 cover the neutrality period prior to WWII, WWII itself, and the early post-war years. QST encouraged those hams enlisting in the service to bring along their FCC license and push to be placed in a signal organization to take advantage of their skills. The World of Ham Radio, 1901-1950: A Social History is a great book, well written, entertaining, and enlightening as to the roots of amateur radio in the US. I highly recommend this book to anyone who is interested in the history of ham radio and the individual hams who have contributed so much in the early years. They weren’t out to make history, the eight young engineers who met secretly with investor Arthur Rock 50 years ago to form Silicon Valley’s ancestral chip company, Fairchild Semiconductor. The men, among them future Intel co-founder Gordon Moore, mainly wanted to escape their brilliant but batty boss, William Shockley, who had just shared the 1956 Nobel Prize in physics for his role in the invention of the transistor. Shockley, who had started a company in Mountain View in 1955 to commercialize this breakthrough, had bullied and browbeaten his young engineering staff, whose numbers included future venture capitalist Eugene Kleiner, at 32 the oldest of the bunch; the rest of the renegade group were younger than 30. But wait. The National Register of Historic Places recognizes the garage in Palo Alto where David Packard and William Hewlett started their company. Isn’t that the birthplace of Silicon Valley? And here’s a hitch. Not until 1971 was “Silicon Valley” used to describe the concentration of chip-making firms in the South Bay. So what is Silicon Valley? How and when did it arise? And most important, perhaps, what is the future of this region that has become a synonym for innovation? Lécuyer, now an economic analyst with the University of California system, said the region’s technological awakening began almost a century ago when, not long after the great quake of 1906, the Bay Area – and particularly the Peninsula – began innovating with the then-hot technology of radio. Lécuyer and Sturgeon argue that, roughly 30 years before Hewlett and Packard started work in their garage, and almost 50 years before the Traitorous Eight created Fairchild, the basic culture of Silicon Valley was forming around radio: engineers who hung out in hobby clubs, brainstormed and borrowed equipment, spun new companies out of old ones, and established a meritocracy ruled by those who made electronic products cheaper, faster and better. As Sturgeon notes, as early as 1909, Stanford graduate Cyril Elwell was acquiring patents for new radio technologies and persuading university officials, including then-President David Starr Jordan, “to finance a new company” in Palo Alto that would be called Federal Telegraph Co.
That same year in San Jose, Charles Herrold started a school for radio engineers and began broadcasting to radio hobbyists and later to a small local audience to become what a 1994 PBS documentary called “Broadcasting’s Forgotten Father.” Back then, the region had none of its present cachet relative to other clusters of radio activity like New York, New Jersey and Boston. But in this rivalry with the industrial powers of the East, the future Silicon Valley would find a powerful customer with deep pockets – the U.S. military. Sturgeon said U.S. naval officials, impressed by Federal Telegraph’s technology, gave the Palo Alto firm huge contracts during World War I – the first but not the last time war would fuel the region’s tech firms. In another hint of the future, Sturgeon writes that around 1910, Peter Jensen and Edwin Pridham quit Federal Telegraph “to start a research and development firm in a garage in Napa” to improve loudspeakers. In 1917, they formed Magnavox, which built public address systems for destroyers and battleships in World War I. The war’s end took the wind out of Silicon Valley’s sails. The Eastern radio powers, notably RCA, dominated the field during the 1920s and 1930s. The region’s entrepreneurial fire cooled but, as history would show, didn’t die. The next chapter in the Silicon Valley story involves the familiar tale of how Hewlett and Packard hatched the region’s first technology giant in a Palo Alto garage. Sophisticated versions of this creation epic also credit their mentor, Stanford engineering Professor Frederick Terman. Terman, who began teaching at Stanford in the late 1920s, would spend the rest of his career formalizing the university-industry collaboration that would come to typify Silicon Valley. But in the hardscrabble ’30s, it was all Terman could do to hold together the ecosystem of tinkerers and researchers who were trying to survive the Depression. He had help from tech pioneers such as Charles Litton Sr., who in 1932 established a machine shop that made better vacuum tube manufacturing tools. Tubes were the workhorse of electronics before transistors and – according to Lécuyer – Litton’s tools allowed San Bruno vacuum-tube-maker Eitel-McCullough to build superior components – and a reputation. Another seminal event was the 1939 invention of the klystron tube by Stanford research associates and brothers Russell and Sigurd Varian, who would later start Varian Associates. The klystron tube led to more powerful radars, helping the United States and its allies gain an advantage in World War II. In his 1995 memoir, “The HP Way,” Packard himself provides a glimpse of this ecosystem in action, telling how Terman arranged for him to work evenings at Litton’s shop. 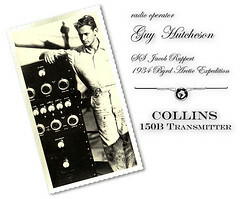 Garage-era Silicon Valley also adopted the business model of the radio age – supplying the U.S. armed forces. “Military funding was critical for the rise of Silicon Valley from the very late 1930s to the early 1960s,” Lécuyer said. For instance, he said, Eitel-McCullough had about 15 people making vacuum tubes before the war. That swelled to 4,000 employees in 1943, then contracted to 200 in 1945, when peace crippled demand for tubes. So, by the time the Traitorous Eight started Fairchild, the recipe for Silicon Valley largely had been written. Still, the notion that they founded the valley is justified by what financier Rock brought to the party – the money to bankroll bold engineers. Investment that rewards risk became the final catalyst for the Silicon Valley we know, where ideas, nourished by money, spawn startups, products, even whole industries, like biotechnology. The first big wave of startups created by venture investment were the dozens of Fairchildren – chip companies like National Semiconductor, Advanced Micro Devices and Intel – started by engineers who traced their ancestry to the Traitorous Eight. Intel became the largest of these Fairchildren, and Moore the best known of the eight. But the gang leader was his charismatic colleague Robert Noyce. A technical innovator – in this meritocracy he had to be – in 1961, Noyce designed the first chip that enabled two transistors to work together on a single slice of silicon. Called the “integrated circuit,” it is the ancestor of today’s billion-transistor chips. In 1971, when trade press reporter Don Hoefler used “Silicon Valley” to describe the concentration of chip-making firms on the Peninsula, the name stuck. But almost from the start, it stood for more than chip-making. “Silicon Valley created an environment that allowed ideas and money and people to combine more easily,” said AnnaLee Saxenian, dean of the School of Information at UC Berkeley and an expert on the region. Only this time, it was the Cold War that opened the government’s checkbook. Falling chip prices fueled development of new electronics for corporate customers and eventually individual consumers. Reliance on military purchases lessened, though defense dollars remained important in spurring research. Thus, when Larry Page and Sergey Brin later dreamed up Google, a defense research grant helped support their work. And when Stanford computer scientists won a robotic car race in 2005, the prize came from the Defense Department. By the 1970s, therefore, Silicon Valley was poised to capitalize on new civilian technologies like PCs, as exemplified by Apple Computer. In the 1980s, excitement shifted to scientific workstations and networking devices from firms like Sun Microsystems and Cisco Systems, and to software like the version of UNIX perfected at UC Berkeley. In the 1990s, the point-and-click browser popularized by Netscape ignited the dot-com boom and, after a painful bust and slow recovery, the recent rise of Google and social networking sites such as Facebook signal another wave of entrepreneurship. Today, Silicon Valley is showing signs of age. Traffic is bad. Housing is worse. And it’s competing with every metropolitan region in the nation – indeed, the world. Saxenian, the Berkeley dean, is optimistic. Her most recent book, “The New Argonauts,” posits that Silicon Valley will remain a design and innovation center by partnering with lower-cost manufacturing centers overseas. But jobs are a concern. Tech employment hasn’t yet recovered from the dot-com bust. The American Electronics Association says California had 1.2 million tech jobs in 2000. Its most recent snapshot found 280,000 fewer Californians collecting high-tech paychecks. Is it outsourcing? Is it globalism? Is it a problem? Maybe the answer depends on whether you’re looking for work or looking to hire. And more to the point, after all this time, do we know what Silicon Valley is, or better yet, how to keep it vital? “My biggest hope for the valley is that we continue to have the focus, creativity and capital to reinvent our future and the future of technology,” said Paul Otellini, CEO of Intel Corp., the most prosperous of the Fairchildren.